We are the manufacturer of Dimethlysilane Cylinder. 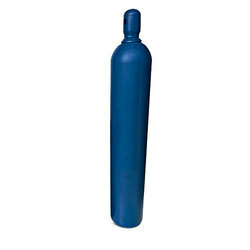 We are an excellent provider of the heavily in-demand Dimethyalsilane Cylinder. The Dimethyalsilane Cylinder is stored and transported in cylinders adhering to industry level security measures. Certain pressure levels are maintained while storage as well as usage which directly affects the quality of the gas. We take the request for certain pressure levels as desired by the clients. Safety measures with tests involving leakage and pressure are frequently done. Quality checks of the gas are done on a regular basis which allows us to keep up certain levels of industrial Standards. Industry levels security measures adhered.